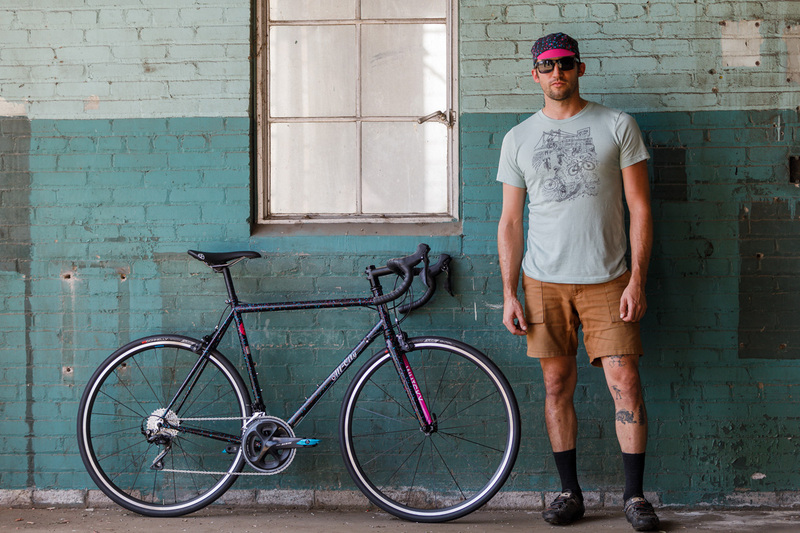 All-City was launching right around the time I was starting this site, hard to believe it’s been 10 years now. 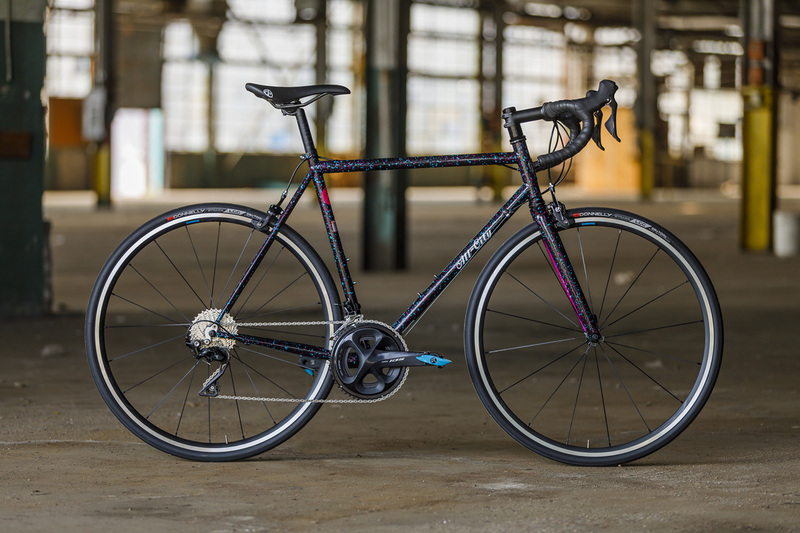 Over the years All-City has expanded its lineup from track bikes to cross, road, gravel, and even mountain bikes. 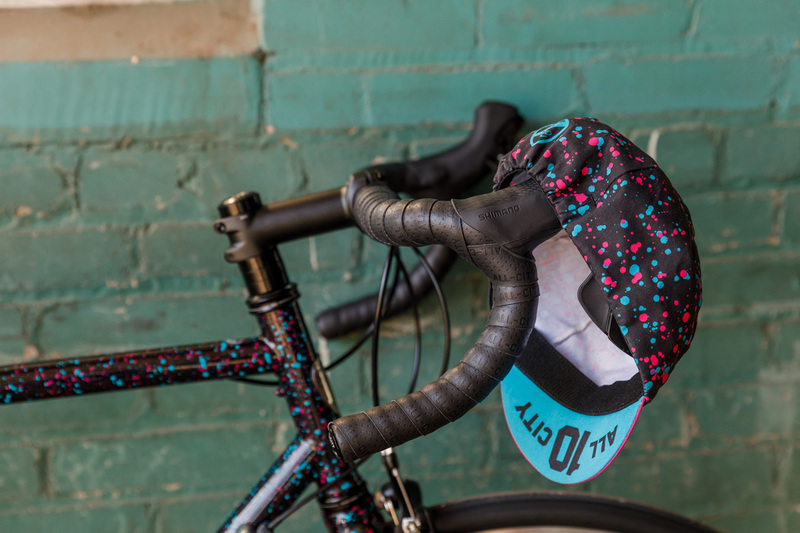 In honor of its 10th birthday, All-City has cooked up a special edition Mr. Pink and it looks awesome. 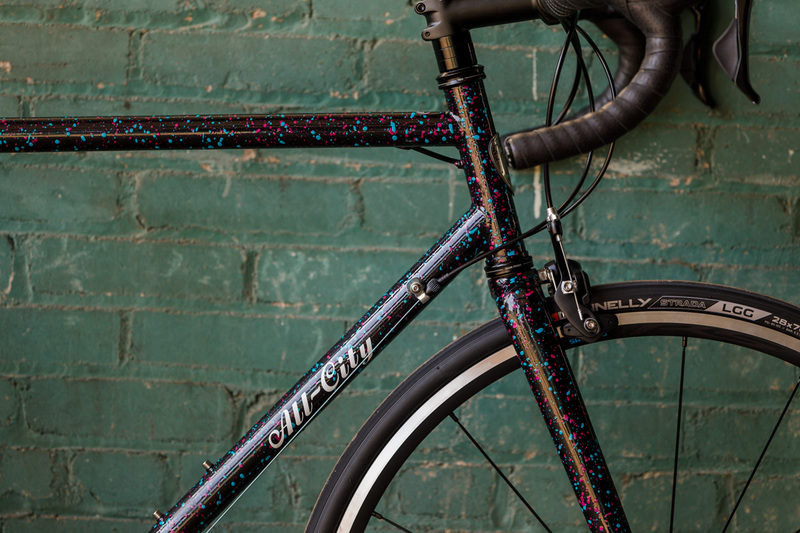 All-City says it is the most expensive paint job they’ve ever put on a bike. I’d also call it the coolest. 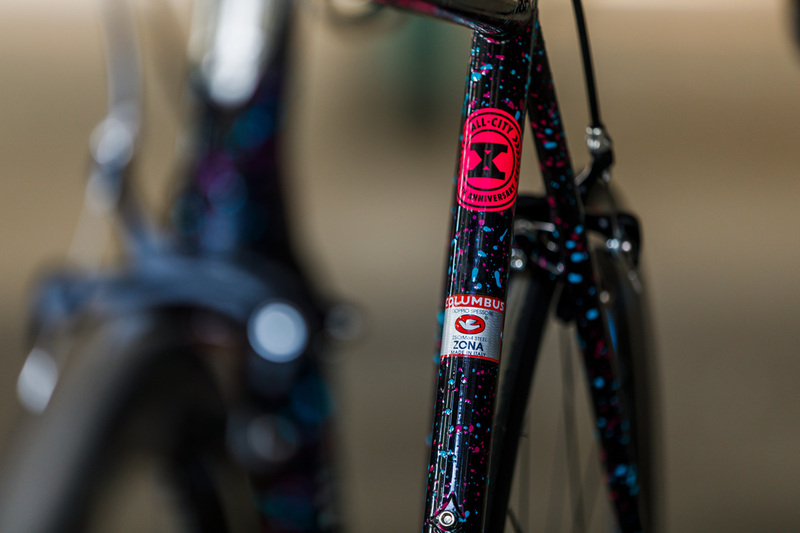 Each frame is hand splattered making every bike unique, and the bikes have special badging. Other than the fancy paint, the bike is the same proven Mr. 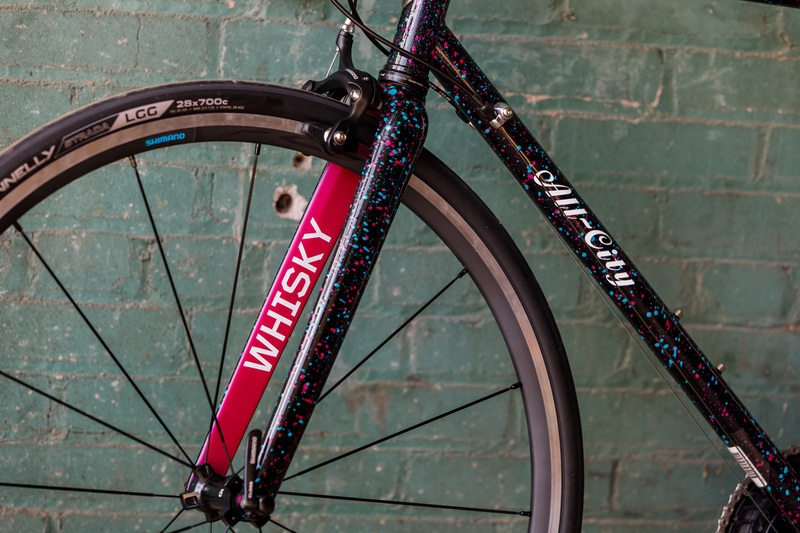 Pink with a Columbus Zona steel frame, carbon fork, and clearance for 32mm tires or 28mm tires with fenders. The 10th Anniversary Mr. 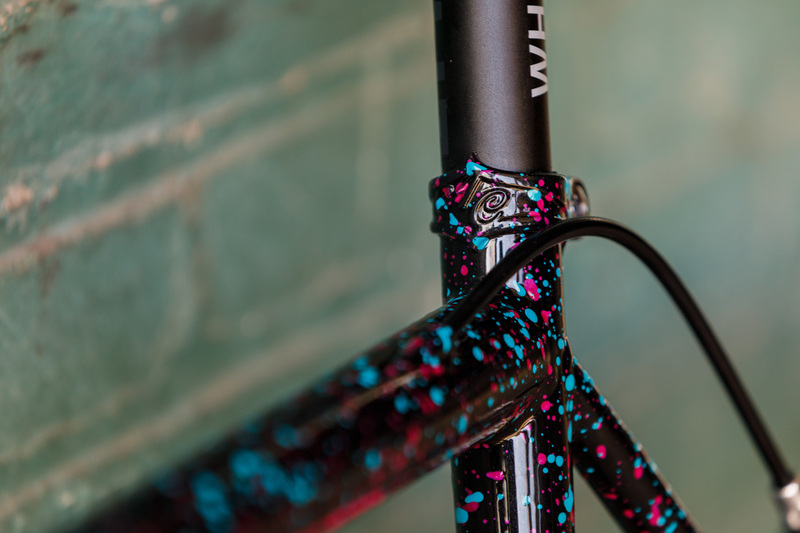 Pink runs $1150 for the frameset, or $2399 for the complete with a Shimano 105 group and tubeless ready wheels.